With a theme like “Heavenly Bodies: Fashion and the Catholic Imagination,” the 2018 Met Gala was one for the GODS. We saw new takes on halos, crowns for days, DIY golden quills and hair that spanned from sleek and minimal to over-the-top huge. Scroll through to see some of the night’s biggest stars (like Kim Kardashian West, Kylie Jenner, J.Lo, and Rihanna) and how to recreate their now-iconic looks. 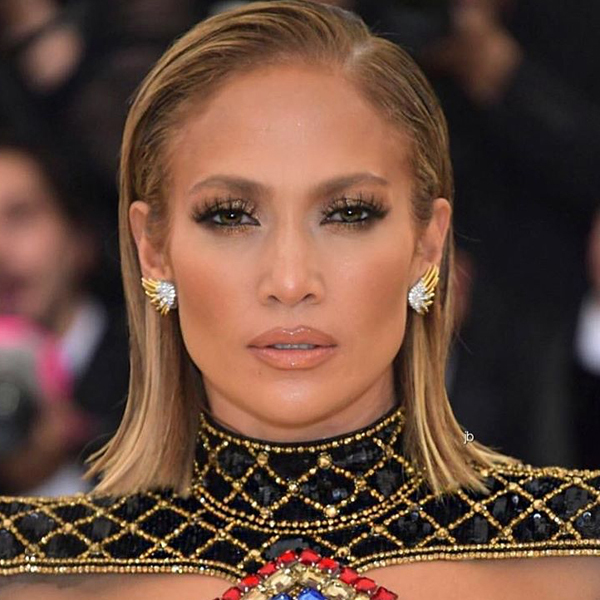 There is no other way to put it—Jennifer Lopez looked HOT at the 2018 Met Gala. Between her bejeweled Balmain dress and her short, slicked-back hairstyle, J.Lo was living her best life at last night’s fashion-forward event. Stella Maxwell was rocking hair for days at the 2018 Met Gala, and it was styled by none other than longtime stylist and friend Virtue® Creative Director Adir Abergel (@hairbyadir)! Cue the Beyoncé: “I can see your halo, halo, halo!” Rosie Huntington-Whiteley went full-on angel at the 2018 Met Gala, and Wella Professionals Celebrity Stylist Ambassador Christian Wood (@cwoodhair) gave us the full breakdown below! Anne Hathaway’s good friend, celeb stylist and Virtue® Creative Director Adir Abergel (@hairbyadir) created this minimal-yet-adorned French twist for the 2018 Met Gala.